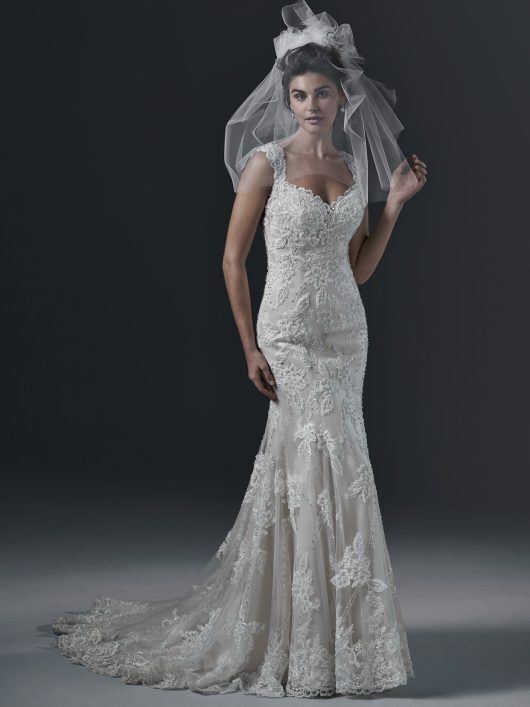 The definition of pure romance is found in this fit and flare wedding dress; featuring lace appliqués; embroidered with pearls and Swarovski crystals; and accented with a sweetheart neckline and feminine cap-sleeves. A double keyhole back provides an extra dose of drama. Finished with crystal buttons over zipper closure.